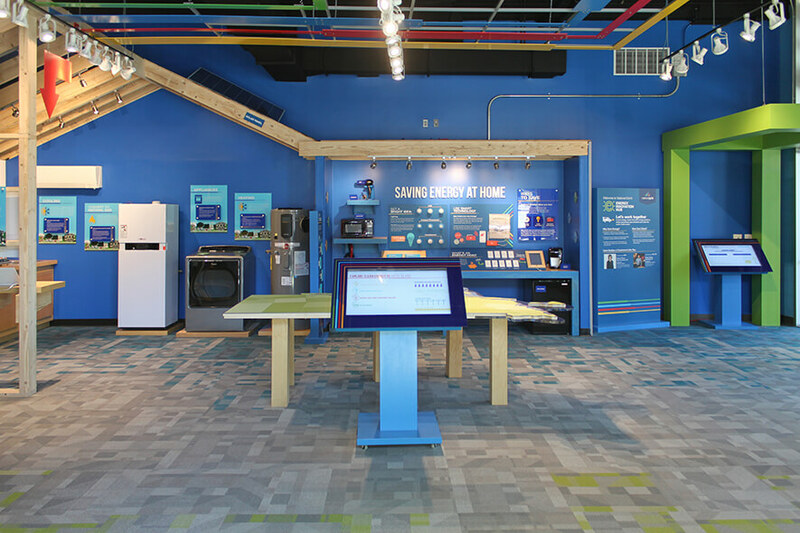 The Energy Innovation Hub is a collaborative space designed to elevate the conversation around the future of energy in RI.Interactive Exhibits teach customers about energy, how behavior effects energy bills, and ways to reduce energy consumption and costs. The Innovation Hub can be reserved for meetings or private tours. For more information, contact us at EnergyInnovationHub@nationalgrid.com or (401) 572-3560.